The North East's Premier TRAIL RUNING SERIES organises what are probably the BEST OFF-ROAD RUNNING EVENTS that you'll enter all year. 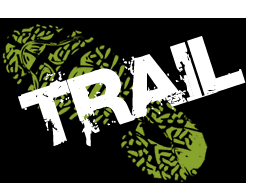 We offer a 'PURE' trail running experience incorporating only entriely natural obstacles. Be prepared to take on some of Mother Nature's best & toughest terrain including fallen trees, branches, roots, ruts, mud, bogs, water & some very challenging hills. Certainly plenty to keep your heart pumping & adrenaline flowing! The Dalby 'Conquer the forest', 10k and half Marathon is our Premier ''Pure Trail'' event where runners take on mother natures best terrain.